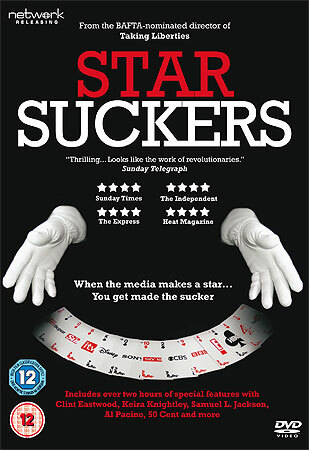 Starsuckers is the new documentary from film-maker Chris Atkins, director of Taking Liberties which looked at the erosion of civil rights in the UK. Here, he takes his guerrilla style film-making and cuts a swathe through celebrity culture and fame and the way it affects our children, our politics and our media. It's a fascinating film, occasionally rather uneven in approach, hampered slightly by a rather annoying voice over that's supposed to represent the omniscience of the media complex and how it manipulates us with its obsessions about celebrity and fame. Atkins breaks the film down into five sections or 'tricks', demonstrated by an animated set of conjurers hands, and begins with a look at how children's attitude to fame and celebrity have changed to such a degree that they believe that to be a celebrity, to be famous is the be all and end all of their adult lives. He looks at how mass media infiltrates their lives through indoctrinating advertising. Well, this isn't particularly earth-shattering news. We know celebrities flog us stuff on behalf of advertisers and we know how the children's market is so perniciously targeted. After these revelations we see Atkins follow a young couple as they push their son into a career as a DJ, football mascot and all round endorsement machine. Clearly, they just want to make as much money out of this poor young lad and it isn't so much that they've been brainwashed by the acquisitory nature of fame and celebrity but that they in turn are brainwashing their son into believing this is going to be a life-long and worthy career. I would question the morality of such parenting rather than lob a heap of criticism at the culture itself. But, Atkins is spot-on about the way media companies shovel masses of product at children, grooming them for the self-esteem wars that are associated with the latest Hannah Montana '2 in 1 transformation doll'. Equally horrifying is the sight of parents actually signing their children up to participate in reality shows, one with the dubious title of Baby Boozers. Once you ignore the grating narrator and the film properly settles down, Atkins does get to the meat of his polemic. On the way, he again reveals that...hey, newspapers do make stuff up and will pay any silly bugger who rings up with a complete load of lies about this actor or that actor. Nothing new there but he does make some spirited observations about how reductions in costs and staffing on newspapers is contributing to the feeding frenzy about celebrities and how decent news reporting is being slowly eroded by such practices. 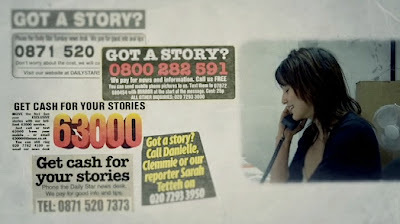 It seems it is easier and cheaper for a reporter to replicate any piece of PR guff that lands on his or her desk than it is to to actually write their own copy or, in fact chase a story and do a really decent bit of investigative journalism. And get the facts right. You can't blame the journalists because these days they have very little time to cover their posts and those of others who have long since been made redundant. It's this that affects the quality of our news. That and the way the PR machines of huge media conglomerates choke up any chance of decent reporting, turn reporters into press officers and the business of news into huge PR and spin operations. Atkins and his crew undertake a sting operation on various tabloid papers and successfully show that if you've got a bit of made up gossip that they're interested in then you can say farewell to any ethical standards in the press. 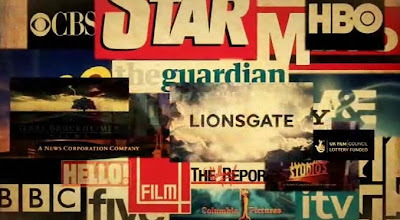 This is particularly pertinent to the rules of selling medical information to the press and the film shows the team being offered £3,000 in return for stories based on medical information about celebrities, and a reporter's cynical assurance that any protest and fines from the Press Complaints Commission will be easily put aside by editors. Where Atkins misses a trick is in not showing how, as mass media evolves in the digital age, that rather like reality television, there is now a blurring between public and private citizens, an interchangeability between so called celebrities and members of the public, between media and the public. This also indicates one of the film's flaws. Atkins has two or three really fantastic investigative pieces up his sleeve and the whole film could have been constructed using these, just as a piece of exceptional investigative reporting. Instead, he covers the stories but not in enough depth for me and surrounds them with much material that, as I've pointed out, isn't exactly news to anyone. The film really comes into its own in the final half. Taking his notion of how PR and spin manipulates our view of the world, he manages to get Max Clifford - protectionist 'celebrity Mr. Fixit' himself - to fess up, nay brag, on camera about what he'll do to bury a bad story or ensure that the rather desperate and unsavoury antics of his clients can be covered up, for the right price. Clifford, naturally, attempted to get the film pulled but it seems Atkins has prevailed and the jaw-dropping footage remains intact. Just after you've recovered from that salvo, Atkins detonates his biggest bomb. The documentary alleges that some of the money and aid from Live Aid, back in 1985, actually did more harm than good, causing population movements and an ethnic cleansing in Ethiopia. He also critiques the Live 8 concert in 2005, showing how this self-indulgent PR fueled bombast, rammed down our throats by an internecine connection between Richard Curtis, Bob Geldof, PR guru Matthew Freud and Freud's father-in-law Rupert Murdoch, both manipulated and coerced the media and public alike into believing it would put pressure on the G8 summit to do something about aid to Africa. As he explains, very little of what was promised by the summit has actually been achieved and offers that Live 8 had very little effect on the decisions made at the summit. Meanwhile, recording artists CD sales rocketed through the roof and their bank balances glowed with rude health. This blanket PR coverage also seriously eroded the efforts of political lobbyists Make Poverty History who were starved of the oxygen of publicity for their cause in favour of a Pink Floyd reunion. It satisfyingly hits its smug targets but really Atkins should have made both the Clifford story and the Live 8 fiasco the centre of the film. There was definitely enough material there to make a single documentary without the flimsier, rather obvious observations he surrounds it with in Starsuckers. But, job well done in exposing the incestuous relationship between self-agrandising celebrities and pop stars, media barons, PR leeches and politicians and it is highly recommended for the Clifford and Live Aid/8 revelations. Clearly, the film made its mark with Clifford attempting to get an injunction on it before theatrical release and Geldof sending a 58 page rant to Atkins the day before it was due to go on air on More 4. You can read his whole, rather amusing tirade on the film's website. The DVD is packed with loads of little featurettes, a making of and a commentary. 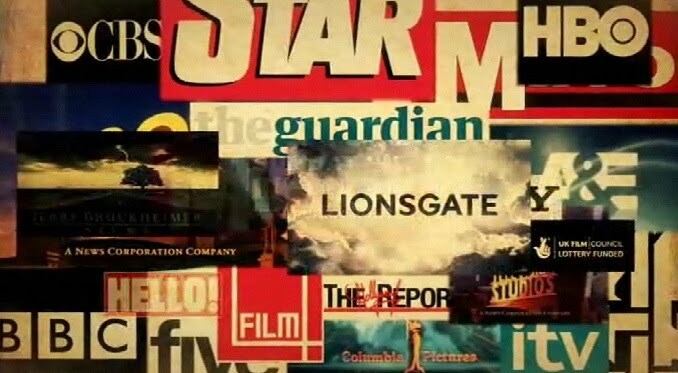 All quite fascinating stuff that adds to the material in the film. Commentary Decent commentary with Atkins and his producer Christina Slater and they chat about the whys and wherefores of shooting various scenes, offering plenty of background detail about the making of the film. Well worth a listen. Kids Talking About The Media - School children offer their observations about television, celebrities, magazines and how culture affects them. Entertainment Journalist - An anonymous reporter spills the beans on the vacuous and manipulative world of celebrity journalism, coverage of culture in general and Hollywood paps. Kids Talking About Paparazzi - The same school children talk about the paps. More Kev the Pap - Observing a paparazzi in action, chasing celebs and having dust ups on the street. Owen the Pap - A pap chats about stalking Britney, the nature of the Hollywood dream and his own profession. Paps Chase Britney - Pretty obvious from the title. Fifty photographers attempt to pap Britney much to the chagrin of the police. Media's Influence on Mass Shootings An interesting mini-report on how the media reports shootings at schools and colleges and how the way such incidents are reported might fuel and affect future incidents. Kids Talk About Fame - Those school children again with some predictable responses. Famous People!!! – Celebrities on Celebrities - Atkins button holes various actors at film premieres and asks them about fame and celebrity. Pacino, Jackson, De Niro and Fiennes all stick to the party line. Jennifer Tilly is refreshingly honest about the subject, though. Oliver Auditions Celebrity Kids - At the auditions for the BBC show I'd Do Anything with kids and their parents. Gifting Suite – Celebrity Ligging - Marketing man Mark Harris tells us about "gifting," and Nephria soaps explain the of having a celebrity endorse your product. Kids Talk About Their Idols - Again, a bit predictable but great that some kids still think their mums are the greatest. Oh, and Barbara Windsor. Morrissey Fans - The thin line between fan and stalker as Atkins interviews some very scary Morrissey fans. Back away from the weapon with your hands in the air. Kids Talk About Celebrities and Charity - You can't pull the wool over the eyes of these kids. They know a self-serving celeb using charity to further their careers when they see one. Brendan O'Neil - The editor of Spiked magazine talks about the infiltration of celebritydom into our daily lives, the Live Aid/8 concerts and the involvement of celebrities in politics. Toyota Charity Event - A "Racing for Kids" charity event allows Atkins to quiz a few celebs involved and gently mock them at the same time. Alexander Nicholas - Editor of Hollywood Hills magazine discusses celebrities, self-publicity and charities. Making of Documentary An excellent making of documentary that embellishes the film and the Atkins/Slater commentary with a detailed look at how the film was made, the problems of working in the US and Atkins visit to Cannes. Plus lots of stuff about the fake stories sold to the tabloids, Max Clifford's attempt to shut the film down. The failure of Live Aid/Band Aid and the misuse of funds raised, mainly due to the trust not cooperating with established on the ground charities, was being reported as early as mid-1986. It's not alleged, it's a sad established fact.